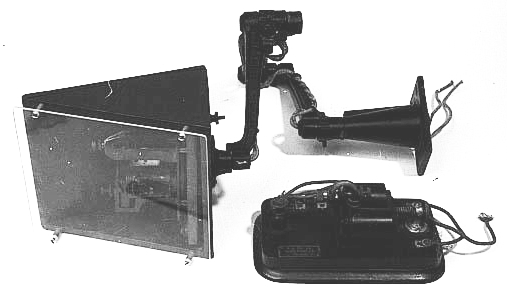 The telegraph was an electronic means for the rapid and reliable transmission of coded information over extended distances. In time it was also perfected to interpret and print the electronic symbols into readable text. By 1848 a telegraph line, which had begun at Washington, D.C., passed through Richmond and reached Raleigh en route to Wilmington. People who lived along the projected route kept North Carolinians informed by mail almost daily of its progress. Use of this new means of communication made possible the creation of new time zones, the use of railroad timetables, the transmission of news to newspapers, personal communication, and other conveniences of a modern lifestyle. The Raleigh Register was the first newspaper in North Carolina to employ the telegraph to receive news, and it boasted of publishing its news 24 hours ahead of other papers in the state. Professor Collier Cobb of the University of North Carolina knew and taught telegraphy and also was a pioneer user of shorthand. As the use of these two cutting-edge skills spread among the state's youth, it heralded the decline of an epithet that had previously been used to describe North Carolina: the "Rip Van Winkle State." Photograph of "TELEGRAPH, Accession #: H.1977.187.3." North Carolina Museum of History. 1918. The statement that the telegraph line ran from Raleigh to Wilmington is incorrect. The lines of the Washington and New Orleans Telegraph Company ran through Raleigh and Fayetteville and were completed on February 14, 1848. See Robert L. Thompson, Wiring a Continent: The History of the Telegraph Industry in the United States, 1832-1866. (Princeton, NJ: Princeton University Press, 1947), 142.